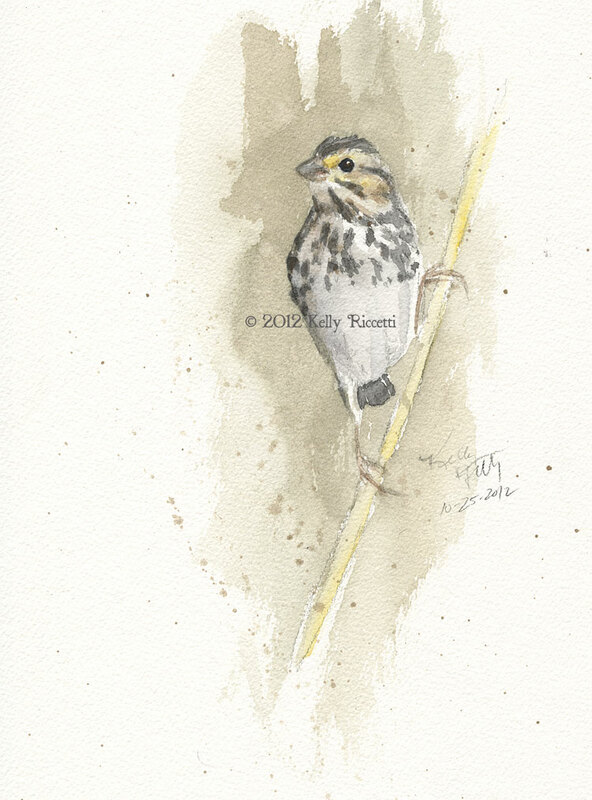 ...a sweet Savannah Sparrow in an early spring meadow (watercolor). 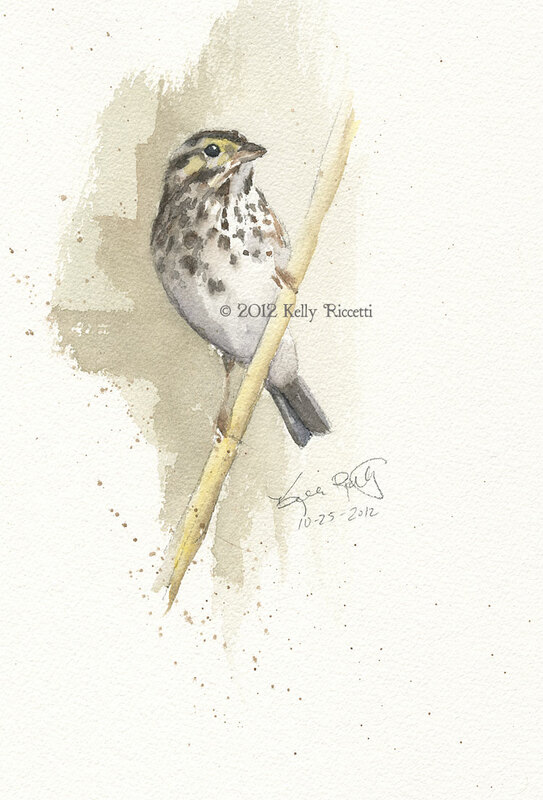 ...same Savannah Sparrow trying his best to fade away in a field of dead stalks and grasses (watercolor). ...but now, it's almost time to say goodbye to our sweet summer sparrows, but before our beautiful little Savannahs hurry off, I thought spending a few hours painting one seemed like a great way to bid adieu! Sketches of the Savannah Sparrow at Armleder Park from back in March. 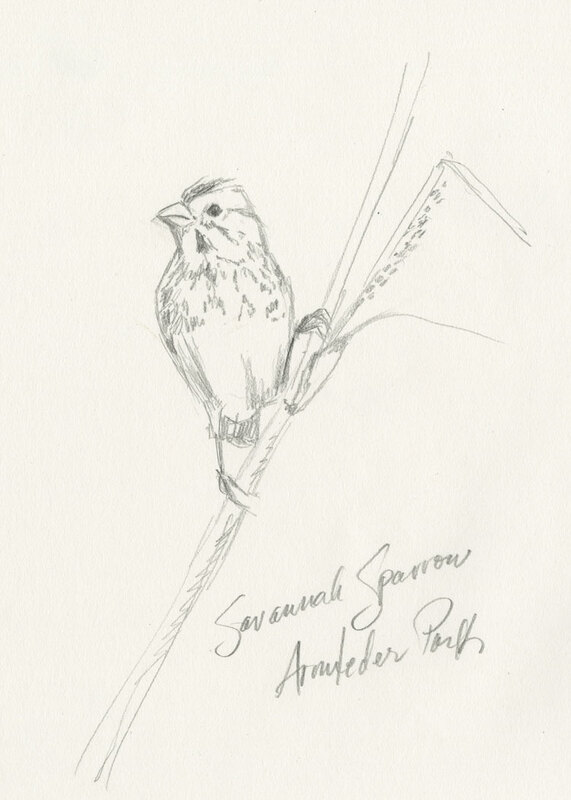 Soon our winter sparrows will be here...White-crowned, White-throated, Fox, and American Tree Sparrows. None have showed up in our yard yet, but we are watching and waiting! Lovely drawings! I have seen one White-throated Sparrow in my yard. Have a great day! Thanks, Eileen! We always have our first Dark-eyed Junco and first White-throated Sparrow of the year contest, but so far...nothing! ...thanks, Dan. I always like when you include your sketches too! Fantastic art form you've done, love it. Gorgeous art, Kelly. So glad you share it on here. Stunning painting and sketches from a very gifted artist! Beautifully written prose, as well. I am always in awe of your work, Kelly! 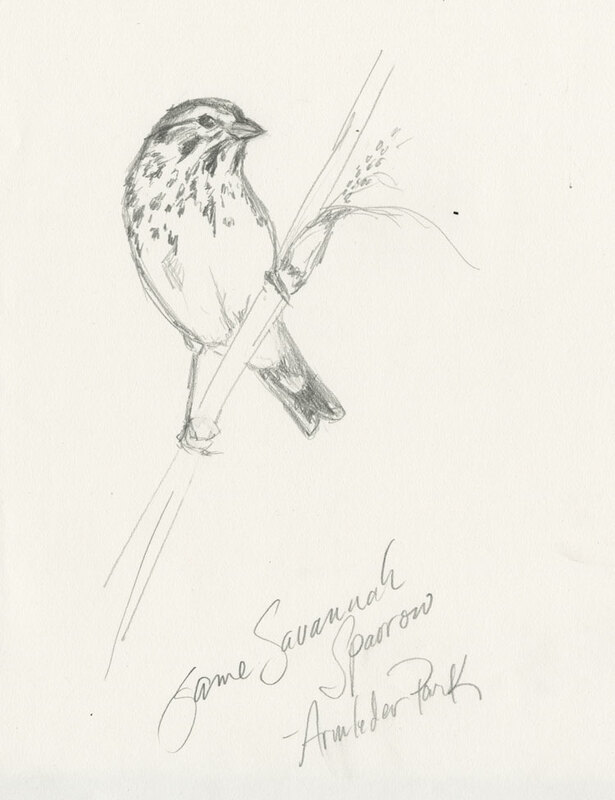 It's always fun to view lovely sparrows. ...thank you, Julie! Savannahs are so sweet they practically paint themselves! I am always grateful for a wonderful news. Japan is now the fall of art. Your writing sketches and sparrows are very extensive. Has excellent cousin and also very artistic, my father. Lovely sketches, Kelly! I always marvel how with a few pen and brush strokes you capture the essence of the bird. Thank you, Hilke! I tried to be loose with these...with washed-out color. I like the subdued feeling too. Fantastic paintings and sketches Kelly! Very impressive! You have a wonderful gift to make something look so simple yet beautiful. Thanks for sharing your gift. The Big Sit! - This Weekend! Finch Irruption & Eye Candy Happening Now!